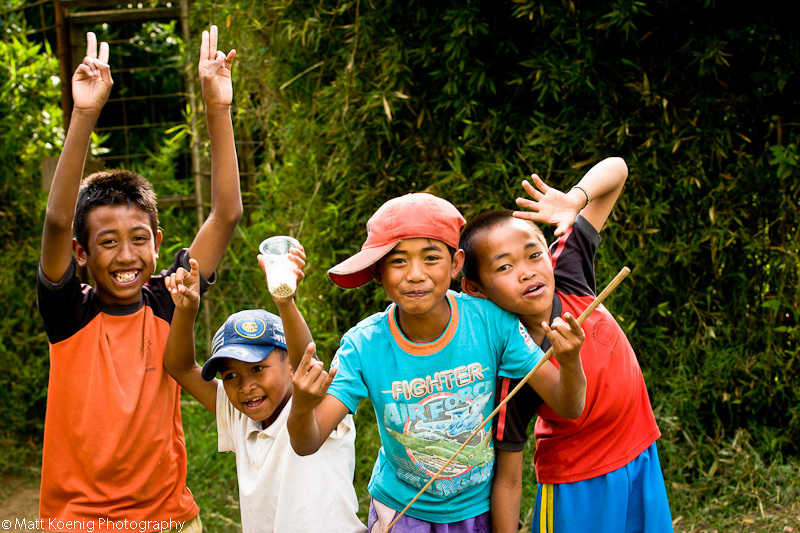 While exploring a field in Lembang Indonesia this group of young boys seeing me with my camera out started posing for the camera. I graciously obliged and then showed them their images on the camera screen. Happy with their photos they continued on down the path pausing on occasion to yell and wave like crazy until they disappeared over a crest. Canon 20D, ISO 100, 70mm, f/5.0, 1/100th sec.